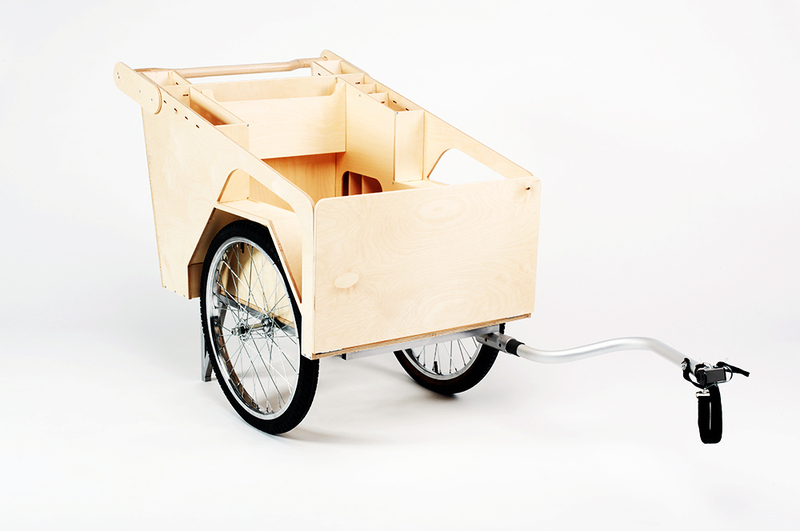 MOBIEL is a transportable harvest cart for urban famers. 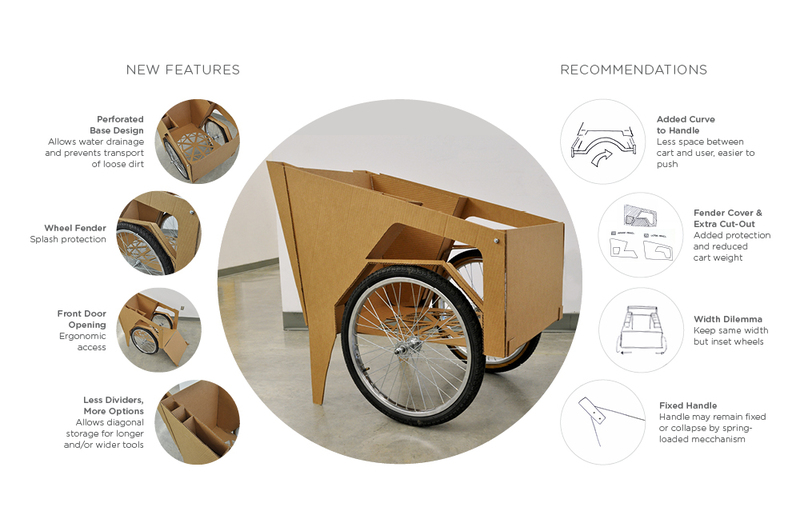 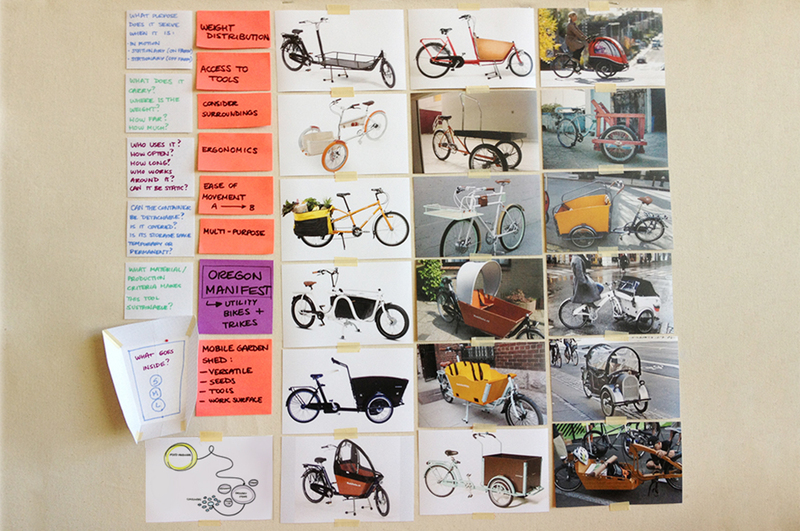 Its design was inspired by my passion for local food, and my desire to promote access to fresh produce in urban areas. 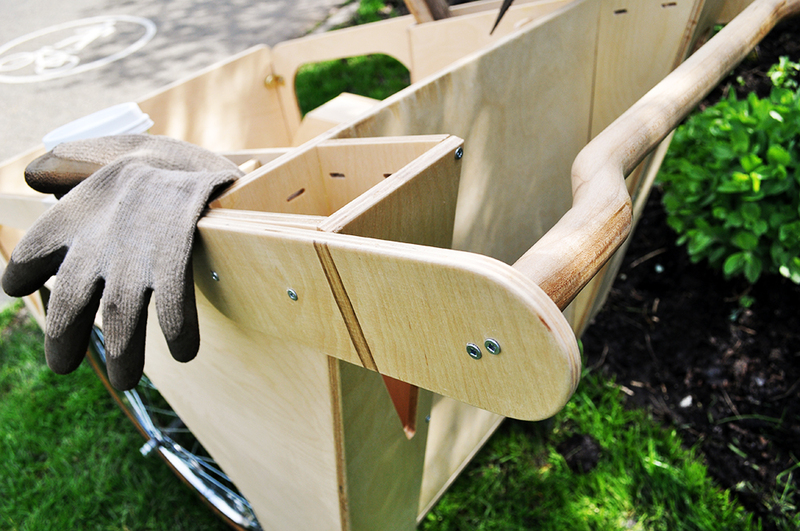 Bringing the growing of food into urban environments reduces emissions related to shipping and processing, provides countless health benefits, and fosters an appreciation for where our food comes from. 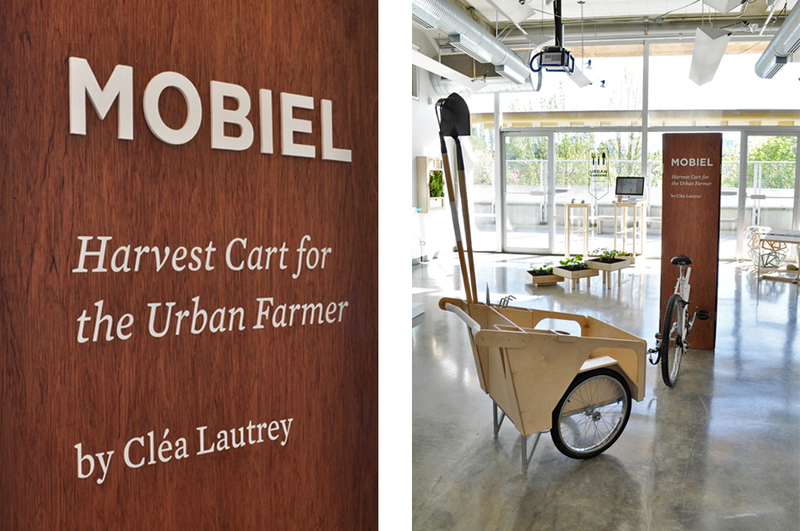 MOBIEL is designed to support the day-to-day needs of commercial urban farmers in Vancouver; people who grow food on a medium to large scale on urban land, to sell it to markets, restaurants and other businesses. 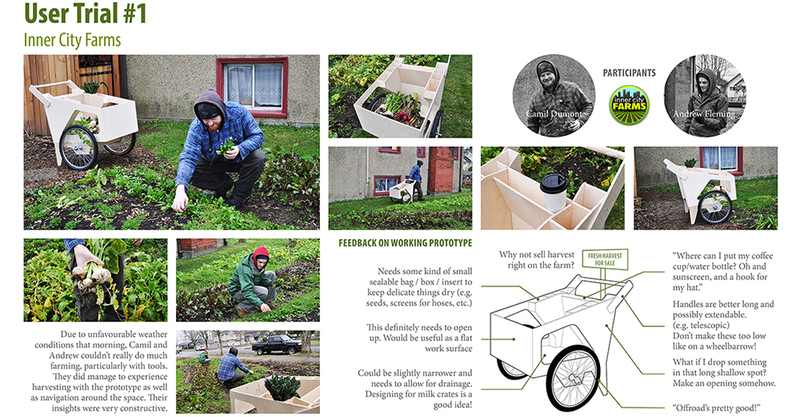 The local urban farming community is comprised of a flourishing demographic of friendly, passionate people who seek more efficiency than community gardeners, yet do not require a tractor to get from one end of their farm to another. 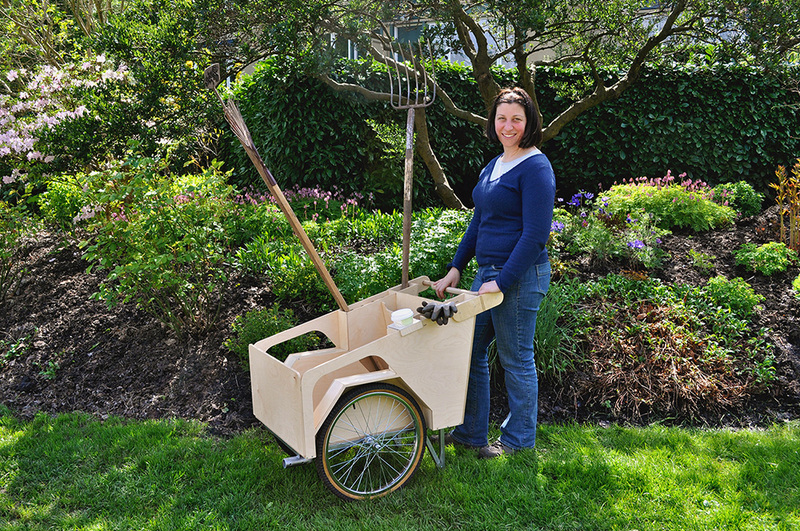 Beginning with the basic features of a wheelbarrow, this cart has the added benefit of organized tool storage, and the ability to be attached onto the back of a bicycle to carry goods across longer distances; from the farm to the market or from one plot to another. 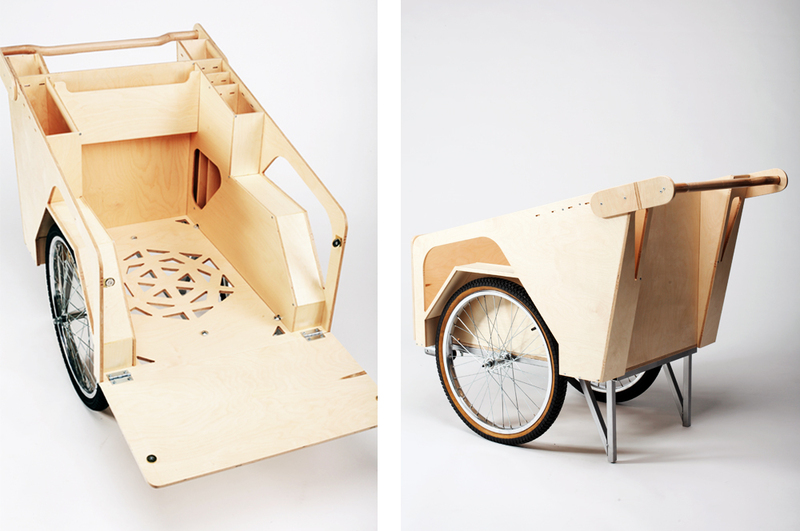 Mobiel carries the narrative of city farming – through its unique functionality and its distinctive character. 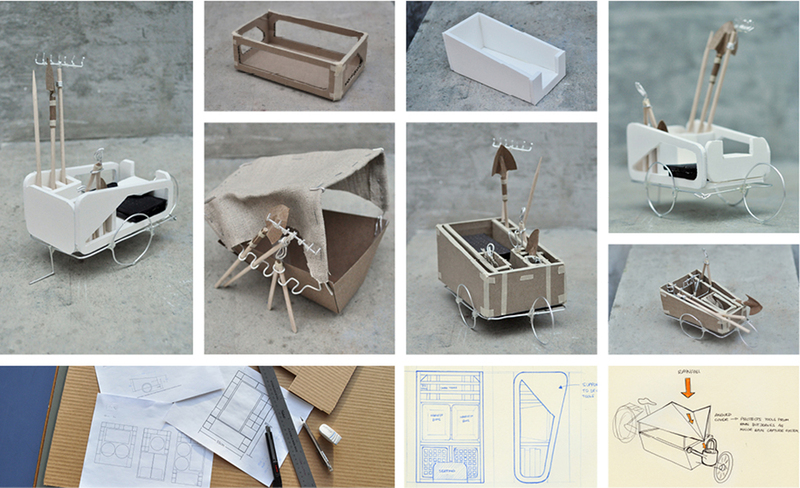 User testing of first plywood prototype with local farmers (trial 1 of 4).